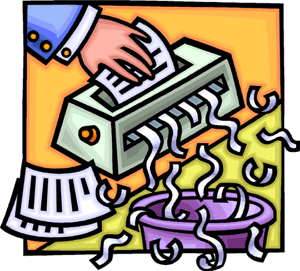 FREE Shredding of Confidential Documents! It is that time of the year again when confidential documents are sorted, gathered and brought to a destination where you will watch them be shredded. Yes, shredding is not just done in offices. In your household, you should also watch out for those bills, bank statements, etc. Sensitive documents that only you should have access to and when you need to throw them away, you should do so in pieces. This way, no one else will be able to see them and use them to your detriment. The best part is? In Chicago and the surrounding suburbs, you can find shredding events for FREE! All you need to do is show up with your boxes of documents. In most of these events, you will even see or hear how they will turn your documents to confetti. So, what are you waiting for? Get started on your spring cleaning and come to the shredding event at 215 W 71st St, Chicago, IL 60621 for a FREE shredding event hosted by the office of 6 Ward Service Office at Greater Salem MB Church from 10 AM to 2 PM. Contact 773-635-0006 for questions or details. Make the most out of what are for free in Chicago! Let’s get shredding! So, what are you waiting for? Get started on your spring cleaning and come to the shredding event at 7901 S Sangamon St, Chicago, IL 60620 for a FREE shredding event hosted by the office of 17th Ward Alderman David Moore from 1:30 PM to 4:30 PM. So, what are you waiting for? Get started on your spring cleaning and come to the FREE shredding event at AKArama Foundation Inc Community Service Center, 6220 S Ingleside Ave, Chicago, IL 60637. This FREE shredding event will be hosted by 20th Ward Service Office from 11am to 3pm. So, what are you waiting for? Get started on your spring cleaning and come to the shredding event at the east parking lot of 15th District Chicago Police Department, 5701 W Madison St. Chicago, IL 60644 for a FREE shredding event hosted by the 15th District Chicago Police Department from 10am to 2pm. You may also call 312-743-1495 for details. Shops at Coopers Grove Shopping Center, Country Club Hills, IL 60478 for a FREE shredding event hosted by the 4th Ward Service Office – Alderman Sophia King from 9am to 12pm. You may also contact Jennie Belton for details at 708-751-3257. Lake Meadows Shopping Center, 3357 S King Dr. Chicago, IL 60616 for a FREE shredding event hosted by the City of Country Club Hills from 9am to 1pm. You may also 773-536-8103 details. 1341 W Grand Ave Chicago, IL 60642 for a FREE shredding event hosted by the Office of the 4th District State Representative Cynthia Soto from 2pm to 6pm. You may also contact Maria Hernandez for details at 773-252-0402. November Clean Up Shred Up Time! October Clean Up Shred Up Time!